The smart valve quickly and automatically closes as soon as a leak is detected. A water leak protection system that oversees your home 24/7! The valve can be equipped with a backup power source for ongoing operation up to 24 hours in the event of a power outage. Many insurance companies offer a discount when you install a water leak protection system. Get in touch with yours! 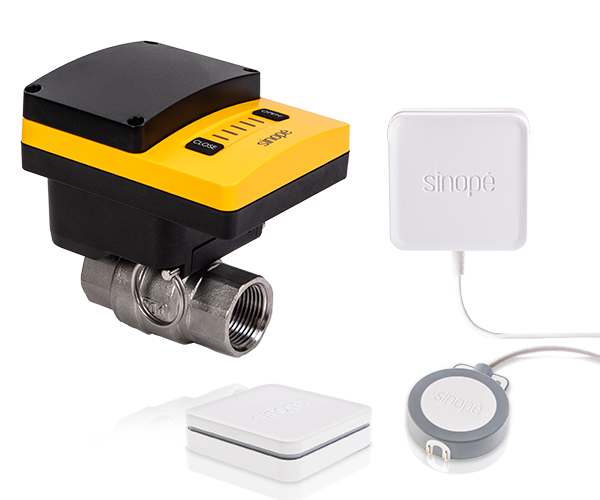 Your Sinopé smart water leak protection kit could make you save.